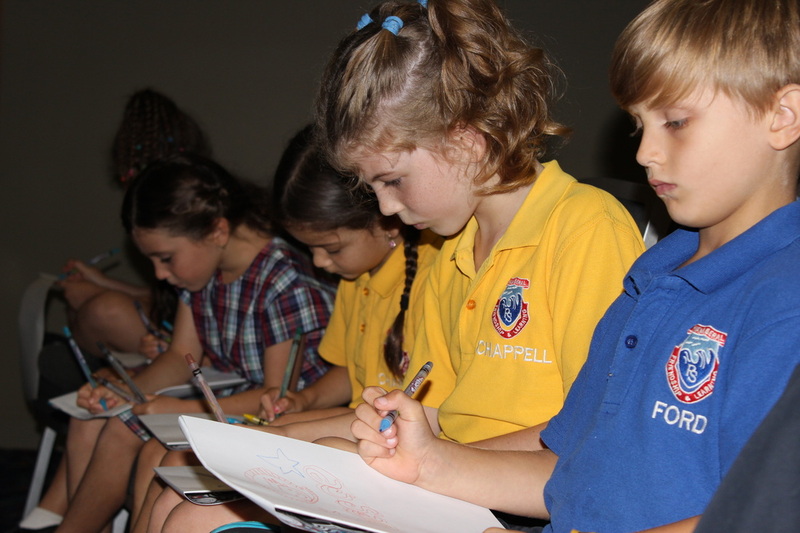 Last Wednesday, students from 1K and 5/6D paired up to work on a poster about anti-bullying. 1K thought it was fantastic having the senior students help them with their posters and 5/6D really enjoyed getting to know some of our school's younger students. Both classes are looking forward to working together again! 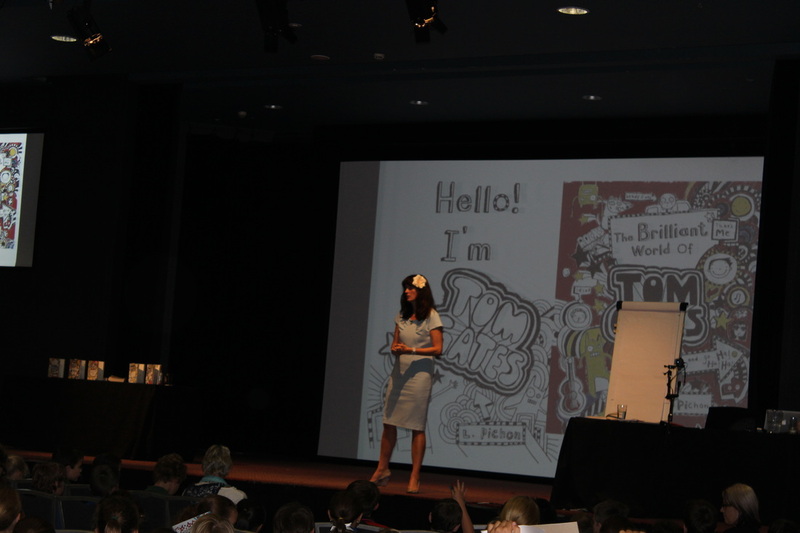 In Week 6 all of Year 2 were invited to Mingara to meet the UK children's author, Liz Pichon. 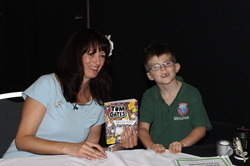 She spoke about her internationally best selling book series 'Tom Gates' and all of the hillarious characters she has bought to life in her fantastic books. During the session the students were given their own drawing pads and crayons to 'doodle' along with Liz and get their creative juices flowing. 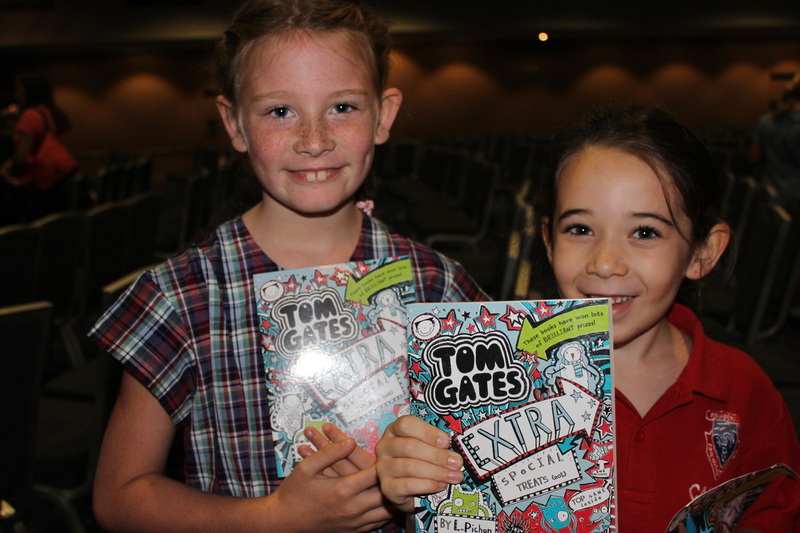 At the end there was an opportunity for the students to get Liz to sign their own copy of the latest 'Tom Gates' book. For some, this was the first time they had met a real author/ illustrator so it was very exciting! All students came away inspired to get their ideas down on paper! Welcome everyone to the Stage 1 blog for 2014. 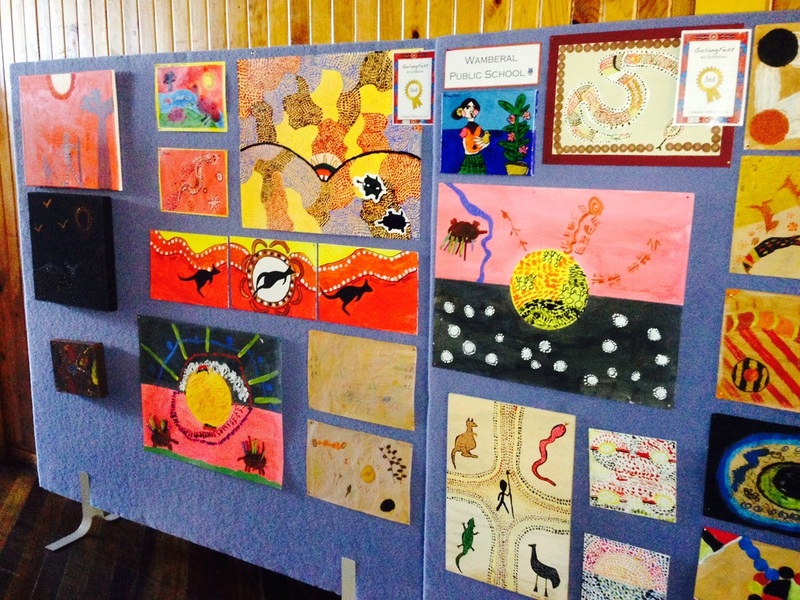 We have the largest stage at Wamberal Public School this year and with that 9 classes!! Luckily we also have the best collection of teachers committed to Year 1 and Year 2 students. 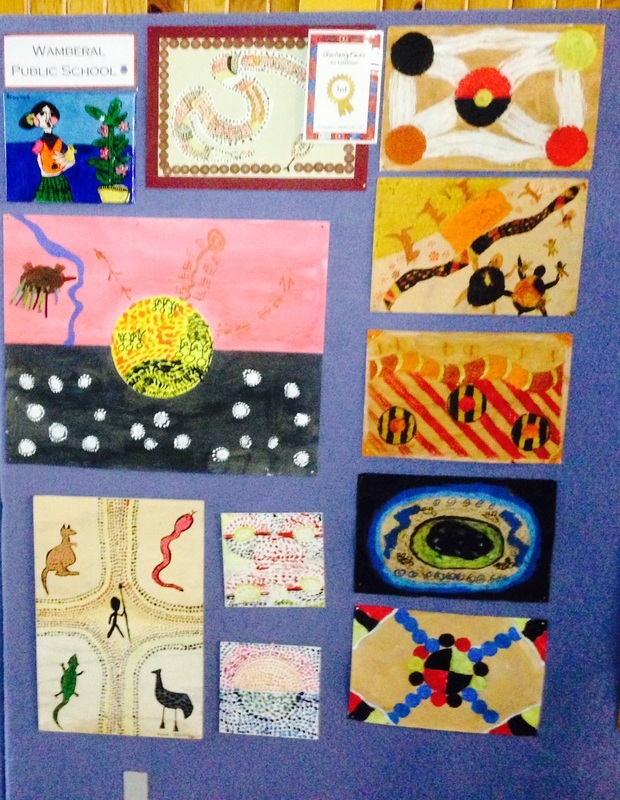 The first 6 weeks have flown by and all students are well into explicit teaching and learning experiences. Stage 1 are completing a "Characterisation" English unit of work based on the new syllabus and focusing on Pirates. All the classes are having a huge amount of fun with this theme, while at the same time learning about characters and setting. This blog will highlight just a small amount of the exciting work being completed in the classrooms and also during excursions or whole stage activities. We are all looking forward to a fantastic year!! Congratulations to all our fabulous Art Exhibitors! Check out this week's newsletter for more information. Stage 1 are looking forward to going to Katandra next week to learn even more about the rainforest. Stay tuned, there will be many pictures to come. 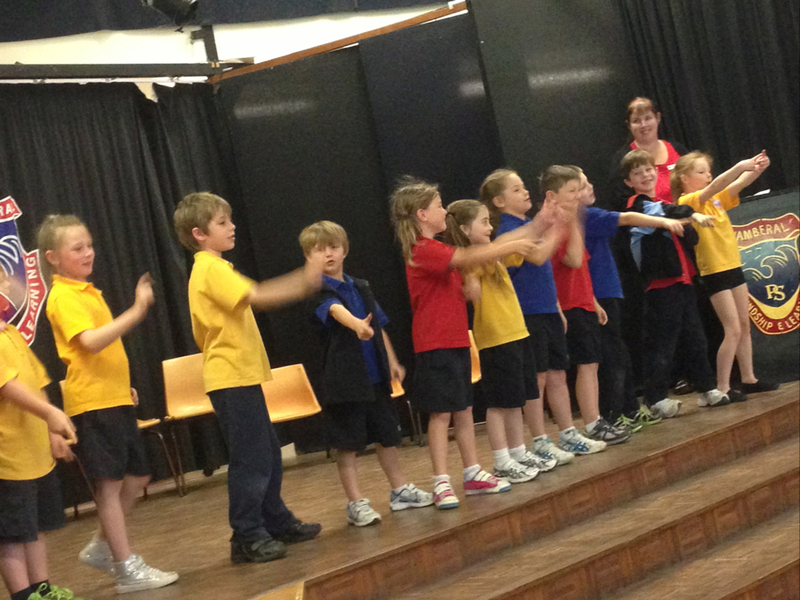 1D performed a fabulous rendition of &apos;Flip, Turn, Slide&apos; at this week&apos;s assembly. Great work! 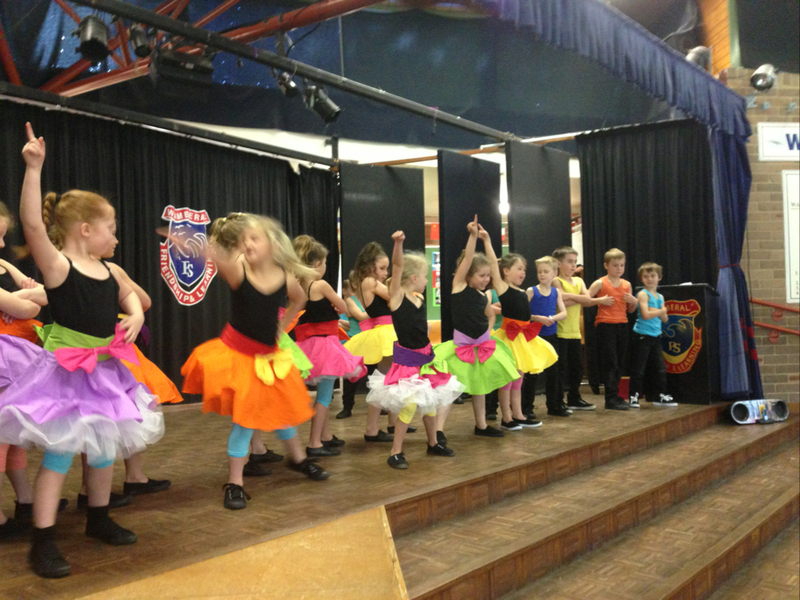 How gorgeous is our K/1 dance group? 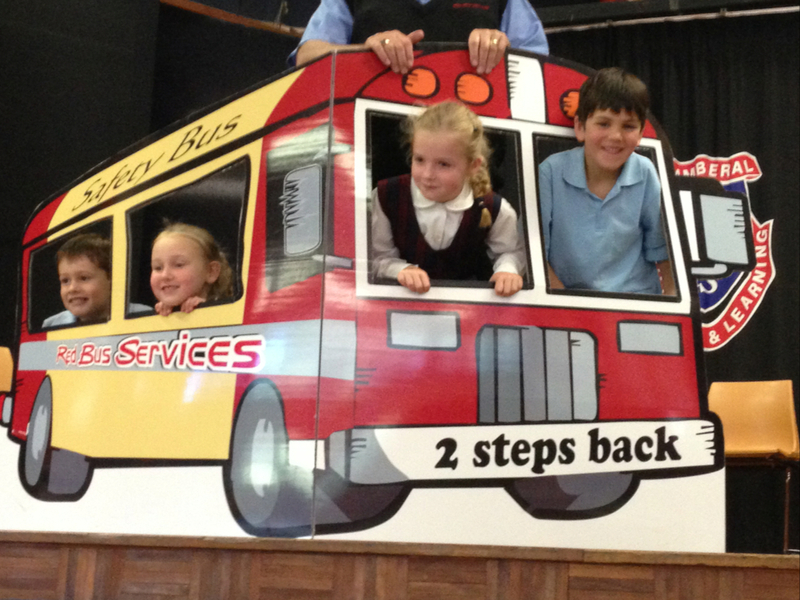 They are performing next week at Laycock Theatre as part of a Great Schools Showcase.